If you like this free game, try Dragonscales 1: Chambers Of The Dragon Whisperer. Dragonscales 2: Beneath A Bloodstained Moon builds on the success of Dragonscales 1: Chambers Of The Dragon Whisperer. The game mechanics are similar, but with a lot of new content added. More than 150 brain twisting levels. Easy to learn but difficult to master. More power-ups to modify boards, explode bombs and cast special runes to beat the evil bosses. 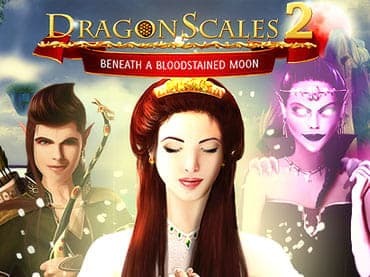 Play the practise levels if the boards are too difficult, Dragonscales 2: Beneath A Bloodstained Moon is truly a unique match 3 game. If you have questions about Dragonscales 2: Beneath A Bloodstained Moon game, please contact us using this form.